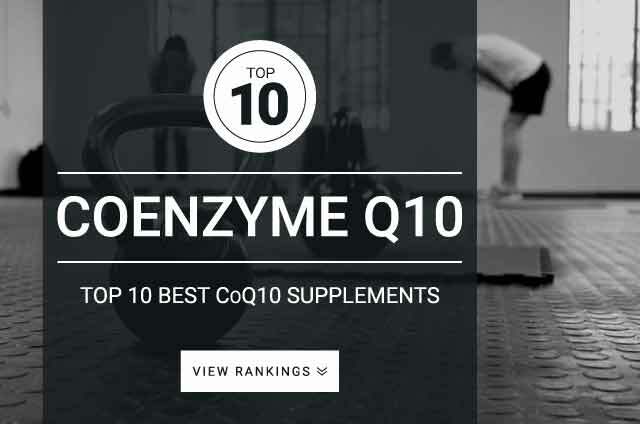 Onlinestrength analyzed 10 best-selling CoQ10 supplements in the United States, measuring total Coenzyme Q10 (CoQ10) content, and traces of rice bran oil, soybean oil, sunflower oil, vitamin E, and medium chain triglycerides. Among the CoQ10 products Onlinestrength.com reviewed, all supplements passed our strict quality and ingredient analysis and contained the claimed the correct amount of ingredients listed. Supplements that contained any preservatives or traces of harmful ingredients were ranked and penalized accordingly. Only the very best products are ranked on our top 10 list. Coenzyme Q10 (CoQ10) also known as ubiquinone, is a naturally occurring molecule produce in the body. It aids the mitochondria and is used for energy production. Natural stores of CoQ10 start to decline with age and deteriorating cardiovascular health. Supplementation is mainly used to help fight fatigue, improve focus, improve mental clarity, boost energy without the use of harmful stimulants, and increase vitality. Hard training individuals may benefit from Coenzyme Q10 supplementation because studies show it may be effective in improving both physical and mental endurance. CoQ10 plays a major role in fat and energy metabolism. Research shows that supplementation may aid individuals who are expending a lot of calories through intense weight training or cardio by increasing time to exhaustion and physical performance such as strength and power output. Standard CoQ10 dosage: 50 mg – 200 mg taken twice daily in divided doses. CoQ10 is best supplemented with food (fat and oil improves absorption).